Western Canadian organic acreage appears to be stuck in neutral. Since 2014 the acreage has hovered around 1.4 million acres across the three Prairie provinces, according to Jill Guerra, research and special projects co-ordinator with the Canadian Organic Trade Association. The numbers are from the Organic Agriculture in the Prairies report released last week and the second one commissioned by the Prairie Organic Grain Initiative (POGI). That 1.4 million acres is a number “essentially unchanged” since 2014, Guerra said. The region is still a major part of the Canadian organic scene, however, as those acres represent half the Canadian total, said Guerra, who shared the report’s findings with industry representatives in a teleconference last week. The report aims to show types of crops and regions under organic production in Manitoba, Saskatchewan and Alberta, and help in business planning, program development and policy work. The data was compiled and analyzed by Canadian Organic Trade Association (COTA) staff. There were 1,499 organic operations across the Prairies in 2014, including 1,342 primary producers, 118 livestock operations, 160 processors and 64 producers in transition. Cereal crops comprise the vast majority of organic production on the Prairies, with wheat the largest category produced on 230,000 acres, followed by 150,000 acres of oats and 50,000 acres of barley. 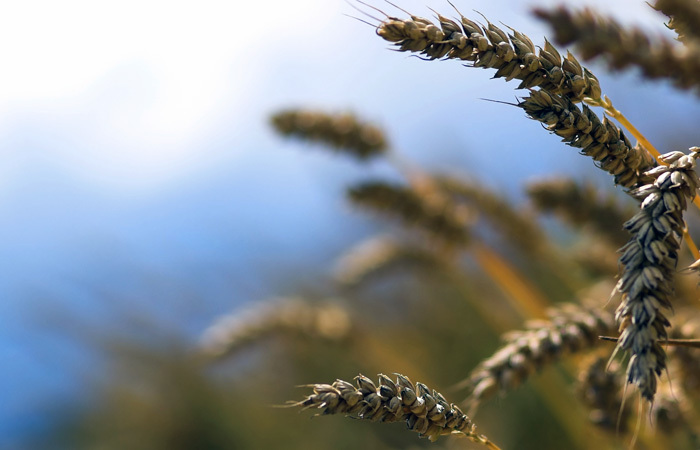 Smaller volumes of kamut (29,458), buckwheat (949), and other cereals were also grown in 2015. Saskatchewan dominates in organic cereal production on the Prairies with 361,884 acres compared to Alberta’s total 113,500 and Manitoba’s 24,989. At 88,538 acres, pulse crops comprise only about 14 per cent of total acres devoted to organic production in the three Prairie provinces. Peas are the largest category at 43,884 acres followed by 29,061 acres in lentils. Only a very small number of acres — just 1,036 — were under organic bean production in 2015 across the three Prairie provinces. There were 75,000 acres of oilseeds produced in 2015, with the vast majority in flax (55,187 acres), plus about 10,000 acres of mustard, and smaller amounts of hemp and soybean produced. Alberta produces only about five per cent of total organic oilseeds, while Manitoba grows 20 per cent. Fruits remain a very small portion of total organic acreage across the Prairies, but findings gleaned from the 2015 data collected show a need to keep closer track of vegetable acres, Guerra said. The report indicates a very significant increase in acres devoted to vegetable production in one year — from 4,500 acres in 2014 to 11,000 in 2015 — and it’s something to be watching closely in future reports, Guerra noted. Part of this is presumed due to differences in the amount of data collected from certification bodies, she noted. Guerra said this category was also challenging to represent accurately. Data showed pasture at 230,000 acres of the total pasture and forage land (500,155 acres), but a significant decrease in grass and natural areas. This finding may not be as accurate as possible given that some certifying bodies reported some grass and natural areas and others did not, she said. Manitoba had 177 organic operations in 2015, including 138 primary producers, four producers in transition, plus 32 organic livestock operations and 47 certified processors. At 33 Alberta had the largest number of in-transition operations, alongside 380 certified primary producers, 55 livestock operations, and 57 processors and handlers. Since 2009 data has been collected from certification bodies across the country to show numbers of organic operations and acres. The work was done by Canadian Organic Growers (COG) until COTA took over the job in 2013.